The winter has undeniably passed. We can safely say that the days of -40 are over and pack our down coats and extra thermals away. 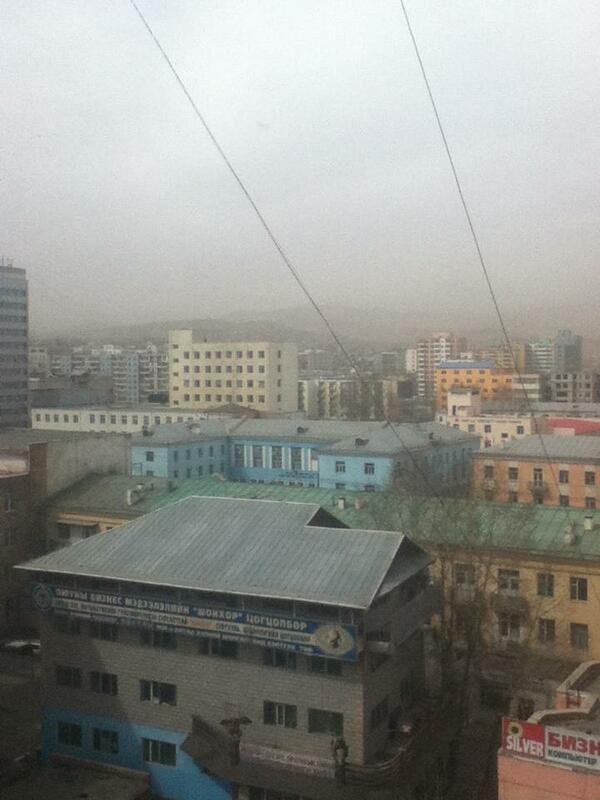 Yet, just an hour ago, I stared out my window as giant snowflakes covered the streets of Ulaanbaatar. 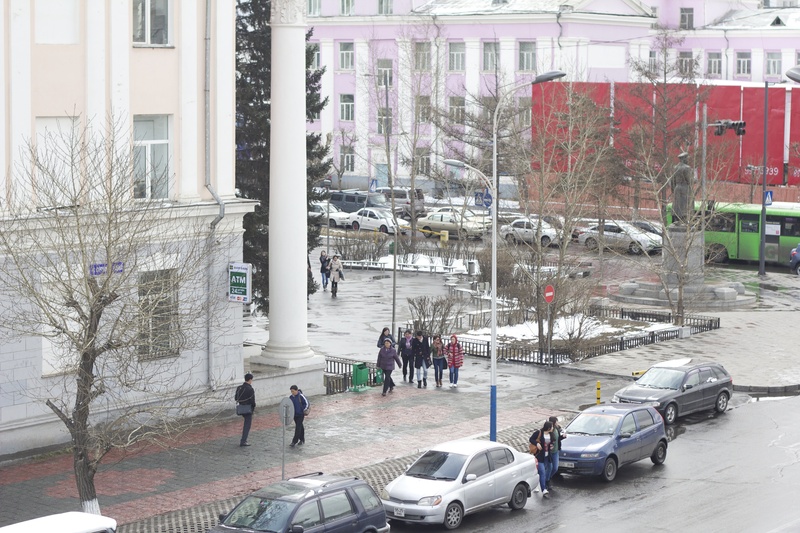 I’m told that spring is Mongolia’s most tumultuous season. It’s when herders have to be most careful about their livestock, left vulnerable from the harsh winter. Many worry about getting sick from the rapid and extreme fluctuation in temperature and dew point. I can understand their concern too. For the first time since I arrived I’m actually feeling a bit under the weather. 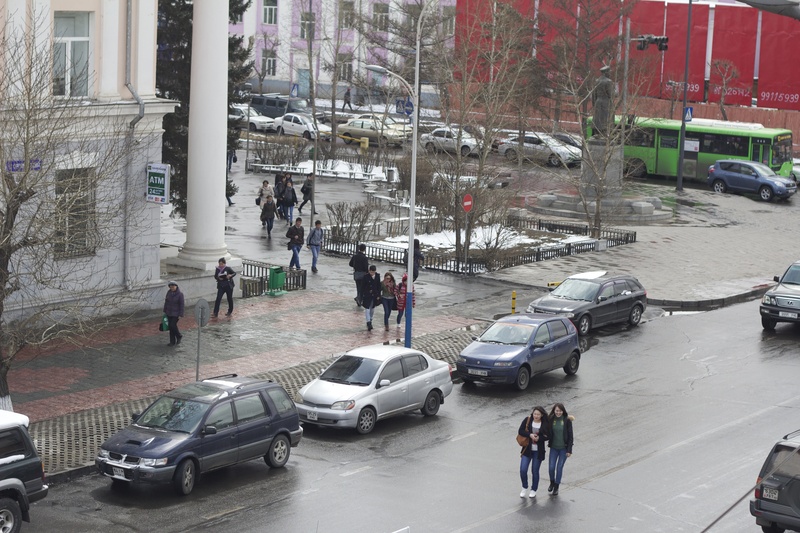 The weather of the past 24 hours perfectly illustrate a typical spring day in Ulaanbaatar. Around 11:00 AM yesterday I walked down to meet some people at a nearby art gallery. The sky was clear, there was no wind, and by the time I arrived at my destination I was actually sweating underneath my lightweight jacket. 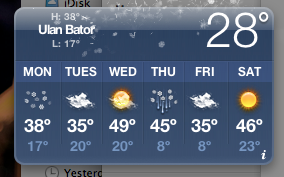 “Spring has sprung!” I thought. By 4:00, I had to venture out again. This time, winds had picked up and were aggressively pelting small dust particles in everyone’s faces. Most people who were outside were wearing sunglasses or scarves over their eyes. It was a dust storm if ever there was one. This morning I woke to a pleasant snowfall – big white flakes that I almost never saw during actual winter. 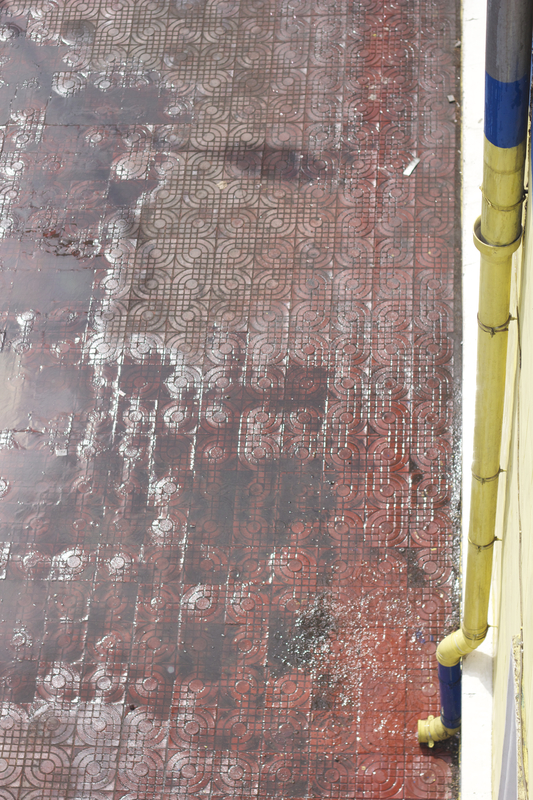 Now, an hour after it stopped snowing, snow still covers some rooftops, but it’s mostly melted. And it looks like we shall repeat this cycle until it is decisively summer. 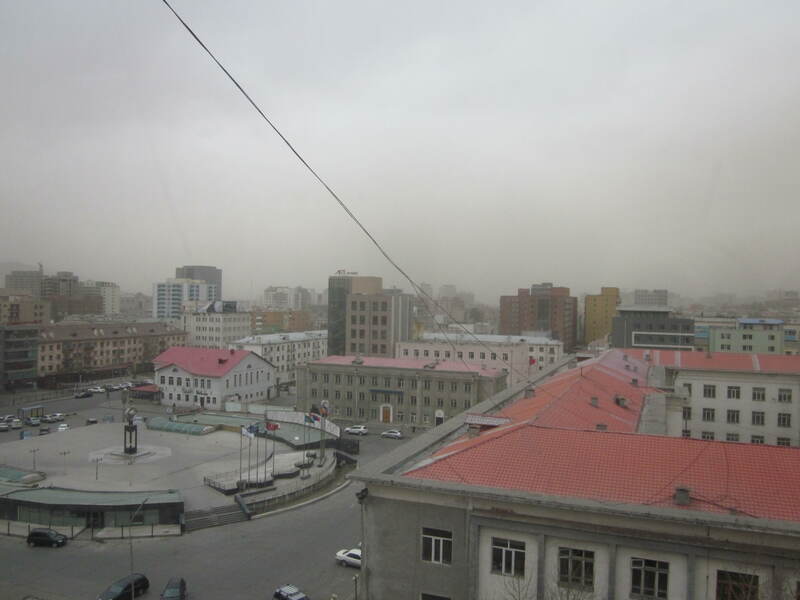 Dust filled the air of Ulaanbaatar on Sunday, just hours after a friend of mine suggested it was a perfect day for a picnic! 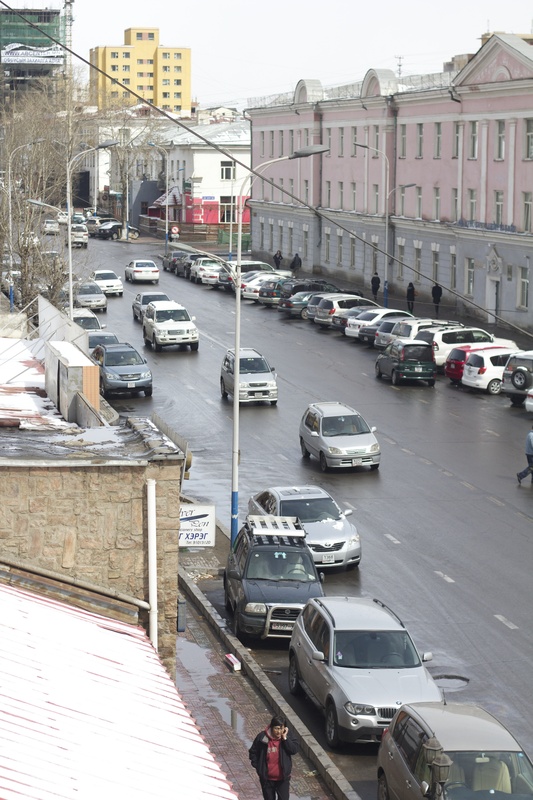 I like this blog, keeps me updated about what happends in Ulan Bator, city I’m going to be in after the 2012 Mongol Rally. One of the parked cars you casually took a photo of, is a car from last year’s rally of a Canadian team.. maybe one day you’ll find ours.. have a nice day.